Outdoor Research – Designed by Adventure. Started in 1981 by a scientist and adventurer, who after a setback to his climbing partner’s gaiter while climbing Denali in Alaska, devoted his life to making the best gear possible. You want to hit the snow and cold in warmth and comfort? Then this is the piece of winter apparel that will help you do that with complete confidence. The Outdoor Research White Room Jacket is a high quality shell with an abundance of fantastic features and amazing technical details. 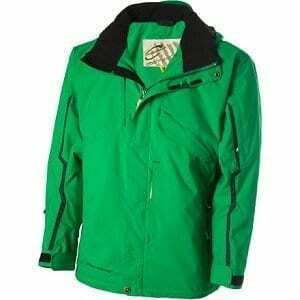 No matter your passions, this jacket will be a great companion as you hit the backcountry, climb a 14er, and tackle the slopes at your local or destination ski resort. The White Room Jacket is the one that will do the job and then some. It sports a stylish almost crisp-like design with a stretch fabric that moves as you do. Breathable, waterproof, and has a lifetime guarantee to boot. Let’s talk appearances. The Outdoor Research White Room Jacket follows on queue with the brands other products. Clean lines, and a few strategically placed color accents highlight the functional features of the jacket. Less really is more in this case. When looking at outerwear, you want it to last. The material selections and technology speak to that. You also want a look that you can sport for many seasons. I think that is definitely accomplished here with the simple design. Ok, so first and foremost, this is a ski shell optimal for layering. Having said that, even with the absence of insulation, this outer layer is definitely warmer than other shells I’ve worn. The stretch fabric is designed to mimic your outdoor snow activities allowing for great movement, and the ability to add layers as needed. I have taken the Outdoor Research White Room Jacket out in a variety of conditions and have been able to stay warm, dry, and comfortable to focus on the task at hand. A rather chilly windy day at Keystone Resort allowed for optimal testing conditions. All zipped up, cinched, toggled, and snapped tight, I left the cozy and a bit too intimate setting of the gondola. I wasted no time putting on my skis to claim some first tracks. This being the early ski season, there really wasn’t much tree skiing or searching for unclaimed powder, but making turns while flying freely is a feeling like no other. The groomers were really great for going fast. Screaming down the hill at 35″+ mph can definitely be cause for a chill to sneak in. It may have been my adrenaline, but I’m sure my super outer layer led the charge in combatting the cold mountain air. A post-Christmas ski at Steamboat Resort provided quite a different setting with thick fog and a steady snow. The Outdoor Research White Room Jacket with powder skirt does attach to your ski pants with three button straps. When starting out the day, I did not bother connecting them as the bottom hem toggle created a tight enough fit. Or so I thought. A buddy took me to some untouched areas in the trees, and I buried myself. A little snow made its way up my back. Not a big deal, but I did make a point of connecting the powder skirt properly. After that, I stayed nice and dry going for some more tree skiing in search of fresh powder. 2 toggles on the side and one nicely tucked away in the back to provide a secure fit keeping all the elements out. I really like that you can actually remove the snow skirt if it’s really not needed. This was exactly the case when I went on a high alpine hike in the Indian Peaks Mountain Range with my family. Above 10,000 ft. the climbing and hiking is somewhat slow going, but the White Room Jacket was a welcome addition to a simple base layer and mid layer fleece. The shell has a very tough and durable out fabric. With a 3-layer GoreTex membrane the Outdoor Research White Room Jacket is waterproof and breathable. The outer layer is a durable 70denier face fabric which is super tough. The third/inner layer is a brushed tricot which is softer and warmer on the skin providing comfort when simply wearing a base layer. In addition, the lightly brushed flannel backer aids in moving sweat away from the body. The integrated RECCO system rescue reflector will aid Search and Rescue if help is ever needed in-bounds. This technology does provide some piece of mind, but do not let this take the place of proper backcountry avalanche gear and beacons. The In-Pocket Goggle Wipe with Tether is a nice little bonus feature when a smear or inevitable fogging up of the goggles does occur. Goggle Wipe. Nice!!! No more glove scratches on my specs. The two exterior hand pockets are large, very large. I packed a sandwich, apple, and orange to avoid having to fight the lines at the mid-mountain lodges. Even then, I still had enough room for my balaclava for when the weather turned. The chest pocket with internal media port is sweet. Most days, the pure thrill of shredding snow is enough for me. On occasion, I do feel the need to zone out so to speak and fly to the beat of my own drum or tunes in this case. Interior stuff pocket. Great for goggles. The CrossFlo Chest to hip vents are a much needed feature to aid in cooling the core body temperature when earning your turns in the backcountry, or if the blessed with a beautiful blue bird day. The Outdoor Research White Room Jacket has an abundance of technological advances to keep you all sealed up and safe from the elements. First of all, there are taped seams to ensure a dry interior, and water resistant zippers that tuck away nicely. The hook-and-loop cuffs close over or under your favorite mitt or glove while the drawcord hem cinches your waist to close you up nice and tight. One point of contention as I see it was the advertised sleeve pocket for your ski pass as a feature. At this point, I have yet to find one. That would be a nice addition. For the most part, I mainly hit the Rocky Mountain Ski Resorts to get my snow action in, and easy access to my pass is very convenient. I did find a small Velcro pocket down below by the powder skirt that could be used as a ski pass pocket I suppose. That would great at the bigger resorts where they scan through your clothes, but the ones without that technology still need to see and scan your pass. Bottom left Velcro pocket for resort pass possibly? For sizing purposes I tend to fall right dab smack in the middle of Medium and Large. Most of the time, a Medium is the better size for me as the super sizing of everything and everybody seems to also be reflected in outdoor apparel. Or at least it seems that way, as a Large for some brands will have me swimming inside. Not the case here, the Large provided ample room for movement and the ability to layer, but wasn’t super big to be a real issue. The ‘Relaxed Fit’ is perfect for my skiing adventures. Available Colors: Hydro/Night, Black/lemongrass, Hot Sauce. Having put this shell to the test, I am thoroughly impressed with the comfort, fit, and even its warmth for being a non-insulated jacket. As a shell, this is one tough piece of apparel that will make your day on the slopes one to be enjoyed. 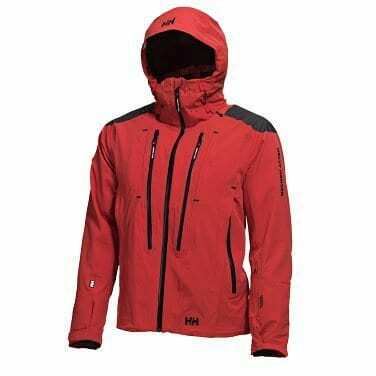 The Outdoor Research White Room Jacket is suited for high alpine, extreme backcountry, or resort skiing. 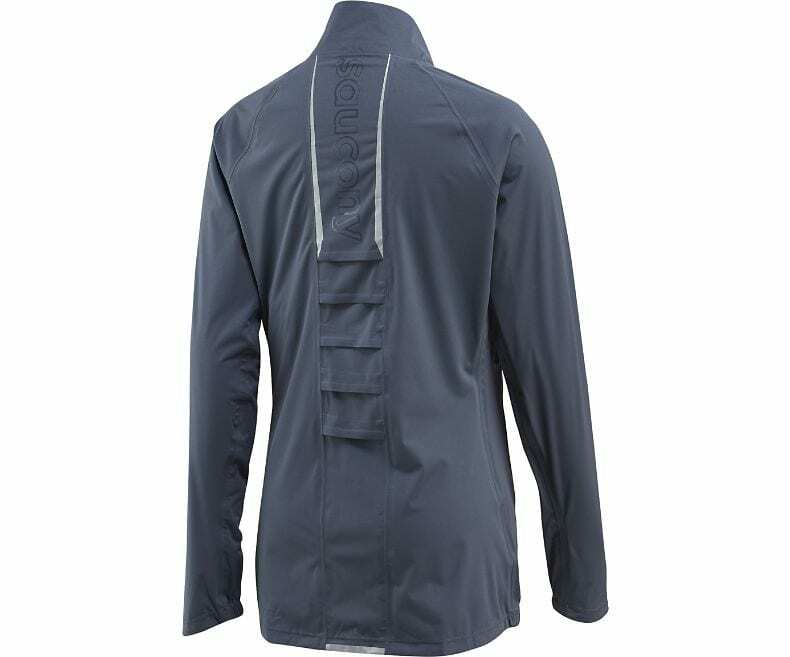 The high quality technical features like waterproofing, breathability, and ability to completely cinch shut, make this a great addition for a wide variety of users. I suppose you could wear it around town in a snow storm as well. I look forward to a winter full of adventures in the White Room.